Vista, CA– We have reported on the despicable actions of San Diego Sheriff’s Deputy, Jeffrey Guy and his long history of excessive force accusations many times now, here at The Free Thought Project. 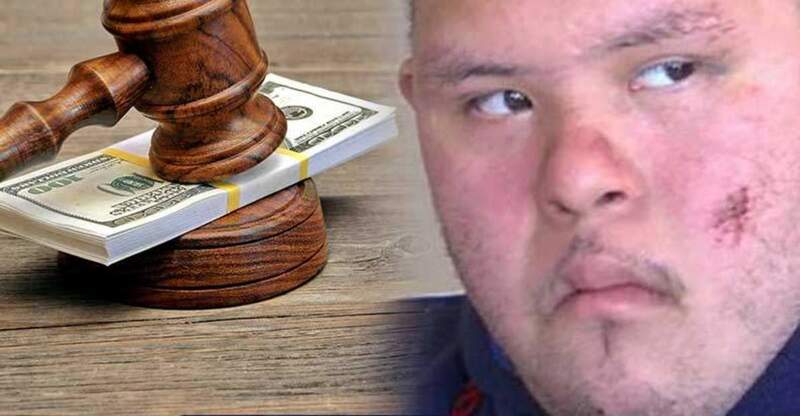 Guy rose to brutality infamy after he beat and pepper sprayed 22-year-old Antonio Martinez, a man with down syndrome and the mental capacity of a 7-year-old. Despite admitting under oath that he had no reasonable suspicion to believe Martinez was ever involved in a crime, he still says he would do it all over again today. The case is now about to head to trial. The Martinez family previously stated that they would be willing to settle out of court under three conditions. They wanted the department to apologize, release their policy on dealing with the mentally disabled, and have Deputy Guy volunteer for the Special Olympics. The department so far has rejected these simple conditions. The incident began when the 4’11” Martinez was walking to his family’s bakery on Dec. 20, 2012. Guy yelled at him to stop, simply because the young man was wearing a black hoodie. When Martinez did not stop, Deputy Guy became angry at him for “exercising his constitutional right not to stop for a consensual detention,” the lawsuit states. The lawsuit continues on to say that the deputy “looked Tony in the face and then unloaded a canister of highly irritating pepper spray into Tony’s face and eyes,” beat him with a weighted baton, slammed his face into the pavement and cuffed him. While the beating was taking place, Martinez’ sisters were screaming at the officer that their brother has down syndrome, unsuccessfully attempting to appeal to the officer’s humanity- something that he clearly lacks. After Martinez was handcuffed, other deputies jumped in, and Martinez was taken to the hospital, detained, and then jailed for 5 hours; essentially kidnapped. He was charged with resisting arrest despite the fact that there was no reason to stop him in the first place. Deputy guy testified that this was necessary to “document” the incident. The family was reportedly offered an unknown but “substantial amount” to settle and quiet down, but they are determined to cause change and opted to go to trial in an attempt to force reform. The Martinez family is open to a settlement “if they cooperate with us and show us what changes they will make,” Jude Basile who is representing the Martinez’ told U-T San Diego. In response to the incident, the department reportedly “issued a bulletin” for deputies who encounter the mentally ill. It is unknown how the magical bulletin can replace the training provided in Crisis Intervention Training, a course which should be mandatory for all officers to learn how to de-escalate situations. The department also maintains that this is not a systemic issue. A search for the words “mentally ill” will provide a basis for a good argument against their statement.